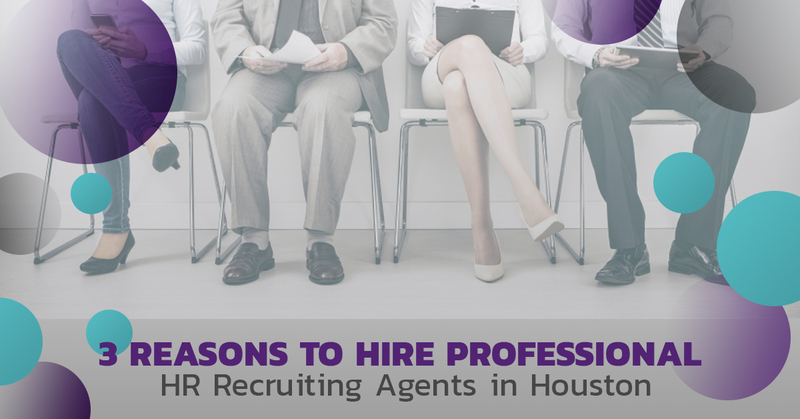 HR Recruiting Houston: Why Hire Human Resources Recruiters? If you started your business with just you as the first employee, expanding and hiring someone new can be an exciting time. After all, you’ll be working with them directly every day, so you want to make sure that they’re the perfect person to join your business. But once a business reaches so many people — whether it’s 10 or 100 or 10,000 — there comes a point at which hiring becomes a much more labor-intensive process. At some point, the owner of the business will have to pass the hiring process onto someone else, someone who can vet potential employees and make recommendations regarding which applicants might be the best options. That’s where a professional HR recruiter and hiring manager comes in. Working with HR consultants regarding your future employees takes the pressure off you and ensures you’re getting the absolute best applicants. Here’s why. Hiring a new employee takes a lot of time. The average job posting receives between 100 and 250 resumes, and going through them all takes a lot of effort. Even if you have an easy time weeding out half of the applicants in a few hours, it gets exponentially harder to weed them out as you go on. Of course, going through the resumes is just the first step. After that comes the interviews, and that will take up even more of your time. If someone comes in and they’re obviously not the candidate you’re looking for, you’ve just wasted a whole lot of time…time that hiring an HR recruiter could have saved you. Chances are that your HR staff is pretty busy. They’re dealing with health insurance and employee complaints and tracking vacation days. They have to keep the employee handbook up to date and make sure that everyone in the building acknowledges that they got the employee handbook. Human resources people are constantly busy, and dealing with a huge batch of resumes for absolutely every position isn’t something that most of them want to take on. As human resources recruiter in Houston, we are hired by businesses to find the right employees to hire. Because so many companies are interested in our services, we are involved in the hiring process many hours of each day. While some people have a natural predilection for finding the right person for the right job, hiring is a learned skill; you get better the more you do it. And in doing so, we get a very good feeling about which people will be good at the job and which ones are just good at interviewing. Pardon the vernacular, but we’re simply very good at smelling the BS that some people bring with them to an interview. We’re sure that, given the time to go through all the interviews, that you’d be able to have some excellent interviews with qualified candidates. But you might also schedule an interview with someone who’s simply good at telling you what you want to hear. We can prevent (nearly every one) of those people from reaching the interview stage in the first place. Contact Your Houston HR Recruits Today! We’ll be back in our next blog with a few more reasons you should contact an HR recruiter to deal with all of your applicants. But if you’re already convinced, why not give us a call? We’ll help you hire the best employees for your business!